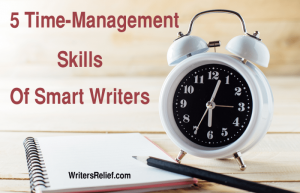 5 Time-Management Skills Of Smart Writers - Writer's Relief, Inc.
Smart writers know the importance of making the most of their time. And for new writers, nothing is more important (or more challenging!) than being able to balance work, family life, and writing goals. We know you’re busy—so let’s get to it! 1. Take ownership of your time. Most of us think we know where our day goes. But if you actually time yourself, you’ll probably discover you’re not spending your hours as effectively as you believed. Apps like Toggl can help you figure out why you’re always feeling busy but never getting anything done. Writing your book—or your poetry, or your stories—is something that only you can do. You can’t farm out your writing to someone else. So the time you spend writing MUST be protected and held sacred. That said, successful writers will tell you that writing well is only about eighty percent of the battle for greatness. 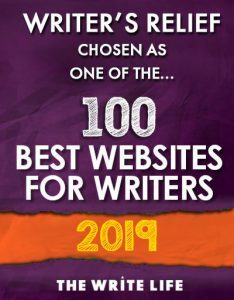 That last twenty percent is all about getting your writing into the hands of publishers, literary agents, editors, and readers. And that takes up a TON of time. Your time is limited, so you’ve got to spend your writing sessions writing! But you MUST submit your writing—regularly, professionally, and effectively—if you want to get published. How can you accomplish both? The answer is simple. Delegate. Have someone else make your submissions for you so you can focus on writing. And that’s EXACTLY what Writer’s Relief can do for you. But only if you act fast and submit your writing RIGHT NOW for consideration. Writer’s Relief has been helping authors (from promising newcomers to full-time best sellers) for over twenty years. Our job is to help our writers get published by managing their submissions to literary agents and publishers/editors. If the idea of delegating all the time-consuming, tedious work of the submission process to someone else sounds appealing (and you like the idea of having lots more time! ), contact us today. It takes only five minutes to submit. Submission is free, confidential, and incurs no obligations. Are you ready to delegate? Submit for consideration today! Be sure to send your best work—our client list is competitive: about eighty percent of writers are turned away. Italians know a thing or two about living la dolce vita and the concept of festina lente. Though it’s difficult to translate, the phrase “festina lente” essentially means “make haste slowly.” The idea is that you can live a life of urgency without feeling stressed and harried. Another time-management skill from Italy comes from the Italian word for tomato. The Pomodoro Technique maximizes your productivity while writing. Set a timer to remind yourself to take a three- to five-minute break every twenty-five (or so) minutes. It’s a great way to keep your focus fresh and maximize your writing time. Fun fact: The Pomodoro Technique was named for the originator’s kitchen timer, which was shaped like a tomato! Dispense with multitasking. When you’re writing, be writing—and nothing else. Have a question about Writer’s Relief? Just hit reply! You can also call, chat online, reach out to us on social media, or send a carrier pigeon. Okay, not that last thing. But you get the picture! 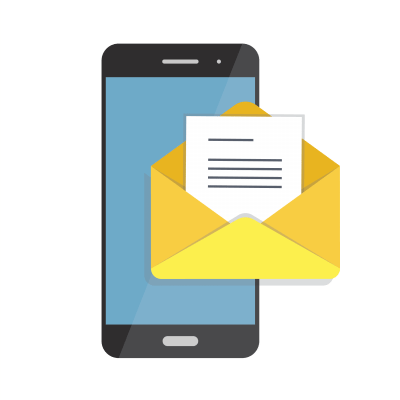 We’re readily available and within easy reach for all your submission strategy questions. QUESTION: Questions about how Writer’s Relief can help with making submissions? Post your question in the comments below. Thanks for the post. Time management is one area of personal improvement that’s on my New Year’s resolution list. Thanks for the tips. Will try to be more focused come 2016. On December 17, you are closing your doors to new clients for… how long? I would love to sign up, but money is very tight right now. I hope, if I can’t find enough, to know when the next opportunity will be. Margaret, Yes, it definitely takes more than five minutes! Which is why many writers delegate the task of researching and targeting the best possible publishing markets to us here at Writer’s Relief! Following the five tips outlined in the article will help you to manage your time better, but if you want to spend more time writing and less time researching submissions, submit work to our Review Board today. Hurry! Deadline is Dec. 17.